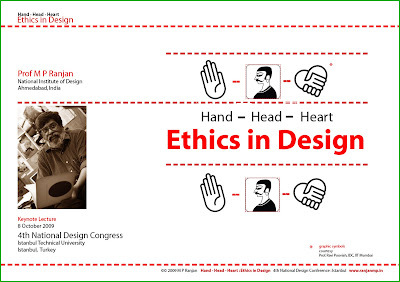 Hand-Head-Heart: Ethics in Design : Keynote address at the 4th National Design Convention at Istanbul on 8th October 2009. Prof M P Ranjan has been invited to deliver the keynote lecture at the 4th National Design Convention at Istanbul that is being organized by the Istanbul Technical University, Istanbul, Turkey. This gives us an opportunity to look at the forces that are influencing design today and those that have helped shaped it over the past five to eight decades since the Bauhaus and the Hfg Ulm schools in Germany. My lecture looks at the ethical dimensions in design and I am quoting the abstract of my paper below along with a couple of models that I shall be using to explore these dimensions in my lecture. It is supported by case studies that we had researched for the sustainability posters that we had designed for the World Economic Forum in January this year as well as some of our own work at NID that could illustrate these ethical dimensions as we go forward from here. The various ethical dimensions have been grouped into the three orders of design that had been written about in a previous post on this blog and the list of books from my design bookshelf is also quoted below for immediate reference. Keynote lecturer at the 4th National Design Conference between 8th and 9th October 2009 at ITU in Istanbul, Turkey at the invitation of the Department of Industrial Product Design at Istanbul Technical University (ITU) and the conference co-sponsors, Koleksion A.S., Profilo and the ITU. Our understanding of design has been evolving steadily over the past 100 years and in recent years there has been a rush of new research into a variety of dimensions and Ethics is one the many dimensions that have received research attention. In this paper we look at the various dimensions of design and at current and past definitions to see the contemporary understanding of the subject as we see it today with the aid of models that the author has evolved over several years of reflection and research. We then trace the evolution of design as a natural human activity and restate this history in terms of the major stages of evolution from its origins in the use of fire and tools through the development of mobility, agriculture, symbolic expression, crafts production and on to industrial production and beyond to the information and knowledge products of the day. This sets the stage to ponder about the future of the activity and of the discipline as we see it today. With the use of a model the expanding vortex of design value and action is discussed with reference to the role of ethics and value orientation at each of the unfolding stages through which we have come to understand and use design over the years. Beginning with the material values of quality and appropriateness we explore the unfolding dimensions of craftsmanship, function, technique, science, economy and aesthetics that has held the attention of design philosophers and artists over the post renaissance period. In the last fifty years our attention has shifted through the work of several design thought leaders to aspects of impact of design on society, communication and semiotics, environment and even on politics and culture with some discussion on each of the major contributors in this ongoing discourse. The further developments that lead to systems thinking and on to the spiritual levels are introduced to place the ethical debate at the centre of the design discourse at each of these levels of engagement. Some critical case examples are introduced to exemplify the arguments that have been made to establish the various levels of ethical actions that design has discovered and with these the author will argue that design is evolving to a more complex form that will require new kind of integrated design education that is already being experimented with across the world in the face of a series of crisis that we have been facing in industrial, economical, social, and most visibly at the political and ecological levels. These ethical lessons are still diffuse and disconnected in the fabric of design action across the world and we will need to find ways of bringing these to the hand, head and heart of design education if we are to find a new value for design that will help us address the deep crisis that we are facing today. The full paper addresses the following six questions by expanding on each as we go forward with the discussions that each question entails. 1. What is Design today? 2. How did Design evolve from being a core human activity to become a modern discipline with a significant future? 3. What are the unfolding dimensions and orders of Design that we can call the “Ethical Vortex of Design”? 4. Who are the thought leaders who have anticipated these expanding dimensions of Design particularly from an ethical perspective? 5. Are there some critical cases in this broader filed of Design that could provide clues for our journey forward at each of these ethical nodes towards an “Integrated Design of the Future”? 6. How do we move towards a new Design education that can “Create the Unknowable – the future for all of us”, in an ethical manner and still be in tune with the needs of our times? 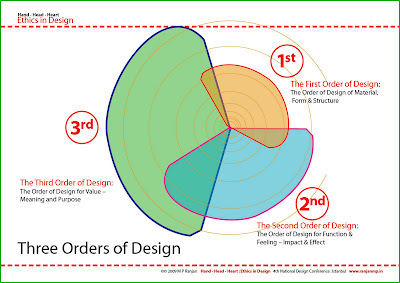 Image02: Three Orders of Design: Model showing the expanding dimensions of the vortex of design thought and action. Thought Leaders in Design: List of books that shaped design thinking in India. 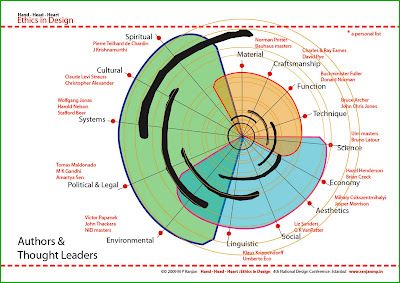 Image03: The Ethical Vortex of Design with the Three Orders overlapped showing the placement of design thought leaders from my personal view and reading. Design Theory related books which I call the “Design Bookshelf”. 37. Bruno Latour, Science in Action: How to Follow Scientists and Engineers Through Society, Harvard University Press, Cambridge Mass., USA, 1987. 38. Bruno Latour, Politics of Nature: How to Bring Sciences into Democracy, (tr. by Catherine Porter), Harvard University Press, Cambridge, Mass., USA, 2004.